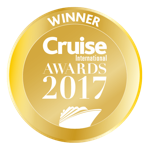 Treat yourself to the exceptional, personal service and incredible inclusions of a luxury cruise from award-winning cruise lines such as Crystal, Silversea, Seabourn, Regent Seven Seas, Viking Cruises, Oceania, and Ponant. While each cruise line offers their own distinct service, your luxury cruise will include all onboard meals, luxury accommodation, use of onboard facilities such as spas, and could include excursions, drinks, complimentary WiFi and more. Adding an extra touch to your cruise, you'll also enjoy great deals on offer including cabin upgrades, free spend, and even personal gifts such as kindles and luxury champagne hampers. View the digital version of our BRAND NEW luxury e-magazine.